Rated best in India by all our expat customers who are true connoisseurs of this boneless wonder. Eat as Rings, tubes or whole - taste is just marvellous. 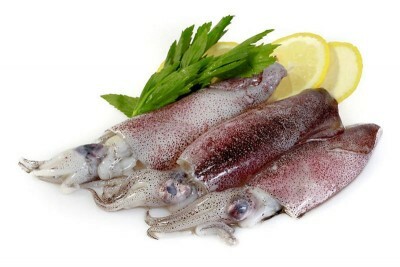 Did you know that the freshness of a squid is best when the little red dots are very dense and close to each other? One of the main seafood items from the shellfish variety having importance in both domestic and foreign markets. Squids are low in fat, high in protein and are internationally famous for their taste. Whole cleaned: Whole squid is washed. Skin and internal shell are removed. Tubes: Only the mantle portion of squid. Tube and Tentacles: The main edible portion (mantle) of squid with tentacles.